ASL says I love you in a special way. 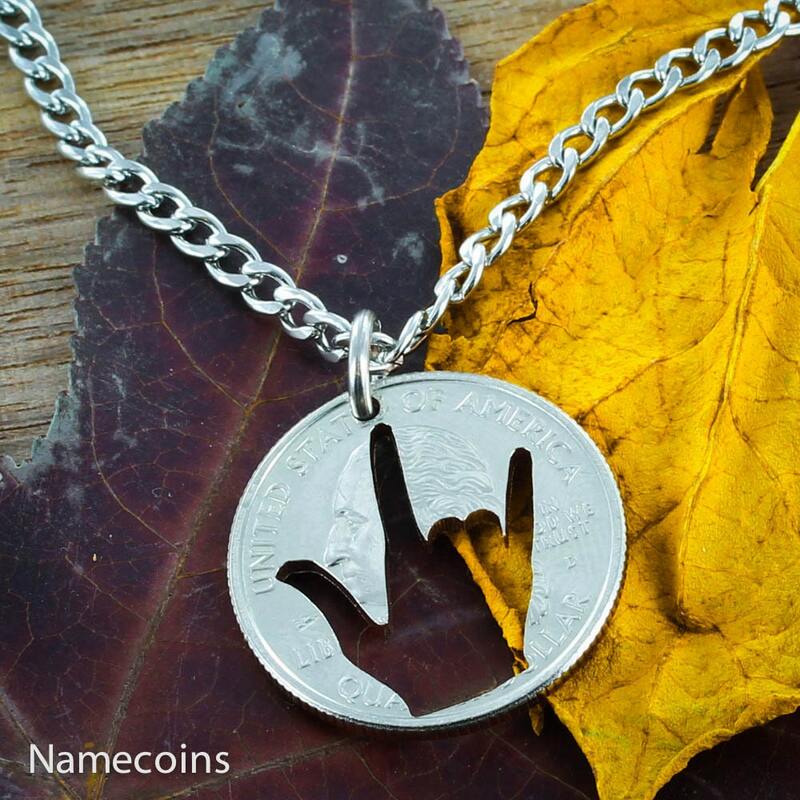 Choose this deaf necklace in a quarter or a dime hand cut coin. We love work on custom jewelry, and we amaze people with how much we can do with a coping saw, diligence, and careful attention to detail. Excellent! Very happy! Thank you! Made it just as we requested with a specific year quarter. Looks amazing and we love it! !